You are not fully dressed until you add some glitter! Colorbar brings you this gorgeous high-shine lip gloss that feels like a feather and envelopes your lips with rich, intense color in just one stroke. 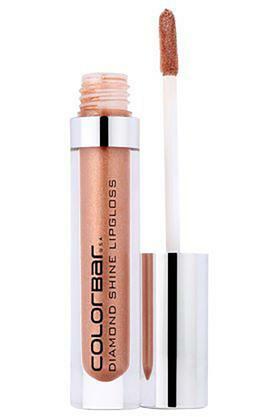 Packed with luxe shimmer, this soft lip gloss adheres perfectly and glides on flawlessly. It makes your lips shine like diamonds. Enriched with vit-e and comforting oils, it fits the lip care needs of every woman perfectly.